Michael Snedeker joined the commercial construction and real estate team at Shellback Industries in 2017. Beyond his responsibilities at Shellback Industries, Michael Snedeker supports a number of Boston-area philanthropic groups, such as the Massachusetts Society for the Prevention of Cruelty to Animals. 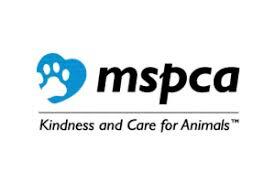 The Massachusetts Society for the Prevention of Cruelty to Animals (MSPCA) provides a number of services to animal enthusiasts throughout the state, including tips and resources to help prevent animal cruelty. Unfortunately, some individuals may not recognize animal cruelty when they see it, or may be unsure of how to effectively address the situation. For example, it is not technically animal cruelty, nor is it always illegal, to leave an animal outdoors during cold winter months. In the state of Massachusetts, an animal must always be provided with adequate shelter that protects against inclement weather. Assuming the quality of the shelter and the overall health of the animal are in good standing, a cold day or night outdoors does not automatically constitute an act of cruelty. On the other hand, while some individuals or families may not consider it a big deal to leave an animal behind during a move (particularly an outdoor cat), any instance of animal abandonment is considered a violation of the state’s animal cruelty laws and should be reported to the relevant authorities as soon as possible. Animal cruelty reports can be made directly to the MSPCA by calling 617-522-6008 or 800-628-5808. Phone lines are open Monday through Friday, during regular business hours.